Many nutrition myths still exist when they should have died a long time ago. This article will present 15 myths that everyone should know about nutrition, and all of them have the potential to harm our health (or bank balance). Each of these myths has been proven wrong by nutritional science, and it’s high time we stop believing them. Go to any drugstore, pharmacy, supermarket or department store, and you can see multi-vitamin supplements everywhere. You may hear some friends mention they’re trying to get healthier. One “healthy” habit many people adopt is to take a daily vitamin pill to ensure they’re getting all their nutrients. However, can a pill really replace the natural nutrient matrix in food? In fact, taking unnecessary supplements may even harm our health. A wealth of studies has uncovered the detrimental effects vitamin supplementation may have. Shown no protective benefit against cardiovascular risk (1, 2). Led to statistically significant increases in mortality for those taking high doses (3, 4). Increased the risk of various cancers, and notably, studies found that high-dose beta-carotene supplementation tripled the risk of lung cancer (5, 6). Key Point: Supplementing with synthetic vitamins appears to increase the risk of all-cause mortality. It is far better to get our nutrients from whole food sources. Are natural foods better than industrially processed food options? At first glance, the answer appears obvious; fruit, vegetables, fish, and meat are all healthier than microwaveable meals and potato chips. Honey / Maple Syrup: Although honey and maple syrup are natural, they are still sugar. And consuming them in large amounts will still have negative consequences. 100% fruit juice: It was fruit, but the processing leaves fruit juice with all of the fructose (fruit sugar) and none of the fiber. As a result, it has a larger impact on blood glucose levels (7). Death cap mushrooms: people have died because they mistakenly ate this “natural” mushroom. Cassava root: Cassava root, often going by the alternate name of tapioca, is a kind of tuber. However, it must be processed because in its natural state it contains cyanide. Sadly, 27 schoolchildren died in 2005 after eating incorrectly prepared cassava. Sure, it is better to focus on whole foods rather than ultra-processed food. That said, natural doesn’t always mean something is healthy. Key Point: Whole foods are usually better, but natural doesn’t necessarily equal healthy. Alternative nutrition advice sometimes dictates that white foods are devoid of nutrients and we should avoid them. But wait… mushrooms, onions, and garlic are some of the healthiest plant foods in the world. Chicken and turkey are nutrient-dense meat options, and cauliflower is a tasty and relatively nutritious vegetable too. The potato is another food that has a bit of a bad reputation. While they’re not the most nutrient-dense food in the world, they still offer a few beneficial nutrients like vitamin C, manganese, and potassium (8). The truth is that ultra-processed white foods, like wheat flour and sugar, are the problem. These foods are virtually devoid of natural (flour is fortified) nutrients. Limiting or restricting these foods will likely benefit our health, but some white (whole) foods are very healthy options. Key Point: It is the ultra-processing of white foods that makes them unhealthy, not their natural color. One common myth about nutrition is that high intakes of dietary protein are bad for our kidneys. It’s easy to hear this kind of warning, and it’s something that many people believe after hearing it over and over again. However, in healthy individuals, the statement is incorrect; there is no evidence that protein consumption causes harm. A recent randomized controlled trial looked at this issue, and the study’s participants consumed 3.4 g per kg of body weight (x4 the recommended daily amount) every day for one year. Over the duration of the study, the participants showed improvements in lean body mass composition with no negative impacts on health markers (9). However, while protein intake is perfectly fine in healthy individuals, the situation may be different for those with pre-existing kidney damage (10). Key Point: There is no current evidence that shows a high protein intake causes kidney damage. One of the most persistent nutrition myths is that olive oil is not heat-stable. Tip: Try finding just one study that supports this. In recent years, saturated fats such as butter and coconut oil have seen a resurgence as acceptable dietary choices. Further, they have become the default choice of fat for cooking, thanks to the high-heat stability of saturated fatty acids. Since olive oil is monounsaturated fat and not fully saturated, apparently we should not cook with it. However, the available evidence proves these claims wrong. In fact, olive oil shows minimal signs of oxidation from high heat, and this remains the case even in deep frying conditions for 27 hours (11, 12). The fact is that monounsaturated fatty acids like oleic acid (the predominant fat in olive oil and lard/tallow) are much more heat-stable than polyunsaturated seed “vegetable” oils (13). 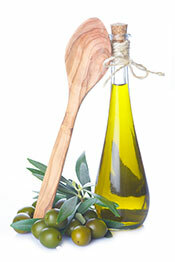 Furthermore, extra virgin olive oil contains a wealth of polyphenols that can help to attenuate oxidative damage (14). Key Point: Extra virgin olive oil is probably the healthiest fat in the world, and it’s perfectly fine for cooking too. If you could convince everyone that regular coffee is not healthy and that you had an exceptional coffee that was? Well, that would be a pretty successful business venture. And this message is precisely what the ‘Bulletproof Coffee’ brand has achieved. They’ve done a great job of marketing their product as a better/healthier alternative – and that’s OK. It happens in business all the time, and their product could well be of higher quality. However, these marketing efforts have also caused a lot of people to worry about their regular, more affordable coffee being harmful. Fortunately, coffee containing appreciable amounts of mycotoxins (a kind of fungal bacteria) is just another nutrition myth. The truth is that all kinds of food can contain mycotoxins, including chocolate, cereals, bread, wine, and many other things. Bacteria are all around us, and tiny amounts are highly unlikely to threaten us. Furthermore, the actual amount of mycotoxins in coffee has been studied quite extensively. When the bacteria is present, it is at minimal levels that won’t harm. See here, here, and here. Lastly, practically all studies show that (regular) coffee has a host of health benefits – mycotoxins or not. Key Point: Coffee is a healthy drink and mycotoxin fears are over-exaggerated. In the modern age, far too many people are consuming excessive amounts of carbohydrate. Worse still, a significant proportion of this food is from refined carbohydrates such as sugar, wheat flour, and sugar-sweetened beverages. It’s no secret that these foods can raise our risk of obesity and developing chronic diseases like type 2 diabetes and heart disease (15, 16, 17). While that may be the case, some people seem to have a fear of all dietary carbohydrates. You can even find claims that fruit and a can of cola are practically as bad as each other due to the sugar content. However, this is alarmism, and humans eat food – not isolated nutrients. Fruit sugars come packed in a whole food matrix alongside vitamins, minerals, and fiber. As a result, they are digested at a much slower rate than refined sugar and have a lesser effect on blood glucose levels. Furthermore, systematic studies consistently demonstrate benefit from fruit consumption (18, 19, 20). The PURE study, which followed 135,335 participants for a 10-year period, received a lot of attention last year for suggesting mainstream nutrition has it wrong on the advice to restrict fat. Since naturally-occurring fats found in dairy, fish, meat, nuts, and olives are very healthy, this is a welcome message. “We showed an 11% lower risk of major cardiovascular disease for the highest fruit intake category compared with the lowest intake category” (21). Of course, correlation doesn’t equal causation, and there are many potential confounders to consider. But that goes for all of the study’s findings. 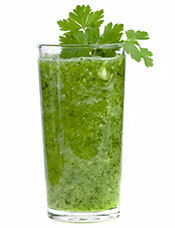 Consuming fresh juice from fruits and vegetables may contain lots of vitamins and minerals, but it won’t “detox” you. Orange and kale juice doesn’t magically ride around your body while removing all the toxins it finds. In fact, our body is already equipped with an impressive detoxification system; it’s called the liver and kidneys (22). Should this system not work correctly, then a trip to the doctor is the sensible option because drinking a smoothie won’t help. Additionally, large concentrated sources of oxalate-rich foods (an anti-nutrient) could potentially cause problems, particularly for those with a history of kidney stones. Key Point: If someone fears their body is full of toxins, they should see a doctor rather than reaching for the kale. Whole eggs are incredibly nutritious and satiating, but many people still consider food sources of cholesterol to be dangerous. As a result, they avoid eating egg yolks. For decades, dietary cholesterol causing heart disease used to be considered a fact. Despite this, there was always a lack of rigorous evidence for it, and the issue became one of the biggest nutrition controversies. However, with more research, the lack of evidence for dietary cholesterol causing heart disease became too strong to ignore (23, 24, 25). Unfortunately, the official position on avoiding dietary sources of cholesterol didn’t change until 2015. The ‘2015 Dietary Guidelines For Americans’ finally laid the cholesterol myth to rest, advising that “dietary cholesterol is no longer a nutrient of concern for over-consumption” (26). Sadly, many people are confused about cholesterol because some still relay the non-evidence based message that dietary cholesterol causes heart disease. Current science does not back such claims. Key Point: Do you throw the yolks out? If so, you’re missing out on the healthiest, most nutritious part of the egg. 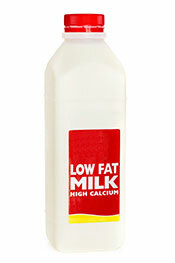 Look around and you can find lots of dietary advice urging us to choose low-fat dairy products. However, there is no strong evidence that low-fat dairy products are a better choice for health. In fact, it’s the very opposite, and full-fat dairy products appear to be much healthier. A recent review of the evidence found that data do not support a negative cardiovascular impact from high-fat dairy consumption. In addition, that low-fat dairy recommendations aren’t supported by the existing literature (27). Further systematic reviews demonstrate that higher dairy fat intake is not associated with an increased risk of diabetes or cardiovascular disease (28, 29). A large study of 3,333 adults showed that those with the highest concentrations of dairy fat acids in their blood had a 50% lower risk of diabetes (30). Additionally, low-fat dairy products are devoid of their natural fat-soluble vitamins and require fortification with synthetic vitamins. Isn’t it better to get the nutrients naturally present in whole food? Key Point: It is a major nutrition misconception that natural full-fat dairy products are bad for us. The evidence suggests the very opposite. Dietary guidelines have urged the restriction of saturated fat for decades now. The reason why is mainly because saturated fat may increase LDL cholesterol levels in some people (31). However, saturated fatty acids are a diverse group and each one has different effects. These fats also tend to raise high-density lipoprotein (HDL) levels, which is associated with improved cardiovascular outcomes (32). Unfortunately, many people (helped by the food industry’s low-fat product trend) have replaced saturated fats with refined carbohydrates. Research shows that this increases the risk of cardiovascular disease (33, 34). Furthermore, recent systematic reviews show no association between saturated fat intake and cardiovascular disease or all-cause mortality (35, 36). These findings don’t mean we should go out and consume unlimited amounts of saturated fat. However, it is misinformation to claim that foods containing saturated fats are inherently dangerous in the context of a healthy eating pattern. For more on fat, see this complete guide to fatty acids. Key Point: There is no reason to fear saturated fat in foods such as dairy, fish and meat. Understandably, nobody wants to consume food covered in chemical pesticides. For this reason, a large number of people turn to organic produce as a healthier alternative. Despite this, the merits of organic food is a controversial nutrition subject. For instance, even organic produce uses pesticides, and the only difference is that the chemicals must originate from a natural source (37). On the negative side, some of these organic pesticides have been shown to cause oxidative stress and even increase the risk of Parkinson’s disease (38). Personally, I will buy organic produce if it is affordable, but we shouldn’t automatically assume it is always safer. Lastly, many people feel they are buying healthy foods for their family when they purchase “organic sugar” and “organic white flour”. These foods are not supportive of health whether organic or not; our body can’t tell any difference and they have the same effects. 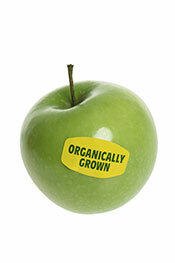 Key Point: Some organic produce is likely healthier than conventionally grown food. However, this won’t always be the case. Many people believe that consuming foods high in antioxidants will protect against oxidative stress and inflammation. However, researchers have virtually proven that these compounds don’t have a direct antioxidative effect in the body (39). This finding doesn’t mean that foods like dark chocolate, coffee, and berries are useless though; it just says our prior understanding was wrong. Rather than having a direct effect as an antioxidant, it appears that dietary polyphenols up-regulate and strengthen our body’s natural antioxidant and signaling systems (39, 40, 41). In other words; foods containing polyphenols do have health benefits, but not in the way we initially thought. While on this topic, there is a lot of hype about antioxidant supplements and their anti-aging and disease-prevention properties. Since high-level studies show no clear benefit (and potential for harm), it is better to avoid these (42, 43). KKey Point: A wide variety of evidence suggests polyphenols provide health benefits. However, they don’t directly work as antioxidants inside the body. There are many myths about food, and there always seems to be a new “superfood” that promises miraculous health improvements. Believing these claims is a big nutritional mistake. 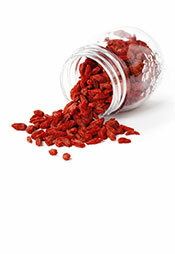 In recent years, we’ve seen foods like chaga mushrooms and goji, acai, and maqui berries suddenly appear on the scene. While these foods do have health benefits, the idea of there being a superfood that rescues our health is wrong. First of all, it is our overall dietary pattern that matters the most. If we’re living an unhealthy lifestyle, then no “superfood” is going to help. On the other hand, adding these foods into a healthy dietary pattern is likely to have some benefit. Just don’t expect too much, and realize that a bit of dark chocolate, coffee, green tea or blueberries will have the same effect as whatever the current trend is. And they won’t cost you as much either. Key Point: The latest fashionable “superfood” may have a few benefits, but they are over-exaggerated. Save your money. We often judge a person’s health based on their appearance, and usually, this gives us a good indication. While attaining a healthy body weight is important, the way someone looks doesn’t always tell the full story of what is happening inside. You may have heard the term “skinny fat”, also known as “metabolically obese”. This description refers to the idea that someone can look healthy, but that they are in poor metabolic health at the same time (44). An unhealthy diet and lifestyle have numerous adverse effects on our body, and just because we don’t put on weight doesn’t mean that we are immune to other damaging aspects. For example, there are various markers of health such as fasting blood glucose, insulin levels, and our overall lipid (cholesterol) profile. These markers can be positive or negative, no matter how much we weigh, and a slim person may have high fasting insulin levels and a poor cholesterol profile (45, 46). Key Point: Looking slim and healthy is great, but it doesn’t necessarily equate to being healthy. 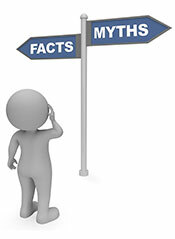 This article shows several major nutritional myths that many people believe. There are many others too, such as the idea that we should restrict our salt intake as much as possible (too much is bad, but so is too little). Overall, good nutrition doesn’t have to be too complicated. The majority of people can improve their health by focusing on whole food options and restricting the ultra-processed stuff. I just found this site and it is excellent. Would you write an article listing the main nutrients needed daily and the amounts, with simple suggestions of how to get them in food –if you have not done so, already? My email is not available. Hopefully, this may be what you are looking for. Once again, great article – well-written and containing links to articles cited. Please keep doing what you do. You’re a fabulous resource and interpreter of the current literature. Thanks for your kind comments, Lynne. I’m glad that you find the articles useful!